Weight Loss, Diet, and Fiber! One of the greatest challenge in dieting is how to fight hunger pangs … that emptiness in the stomach, whether true or imaginary, that makes one open the refrigerator door, the cookie jar, the pantry, or just about anywhere where food is most likely stored, to look for practically anything just to satisfy that insistent feeling of hunger. If you’re really serious about losing weight, load up with fiber. Twenty-five (25) to thirty-five 35 grams of fiber per day is ideal. Fiber practically fills your stomach making you feel full and thus satisfying your hunger pangs. Apple: Apple is a rich source fiber. 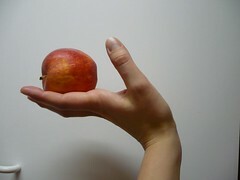 An apple with skin contains 3 to 5 grams of fiber depending upon the size. An average size apple contains 4grams of fiber. Figs: One fresh fig contains 2 to 4 grams of fiber. Blackberries: half cup of raw blackberries contains 4 to 5 grams of fiber. Pear: Pear is a high fiber fruit. A large pear with skin contains 5 to 6 grams of fiber. 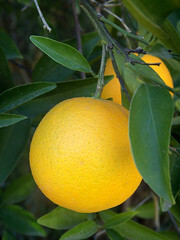 Other fruits include guava, orange, coconut, grapefruit, apricot, etc. The following foods are also good sources of fiber: Whole grains (bran has the highest fiber content); this includes breads and cereals, whole-grain pastas, and brown rice, Nuts and seeds, Legumes (such as dried peas, beans, lentils), Fruits, and Vegetables.